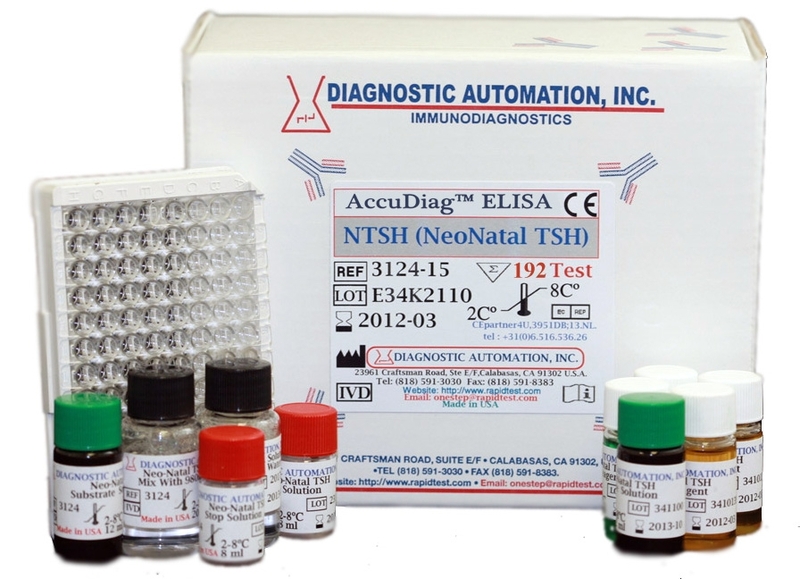 T3 ELISA kit - Triiodothyronine Elisa kit | FDA-CE | 818-591 3030-USA. 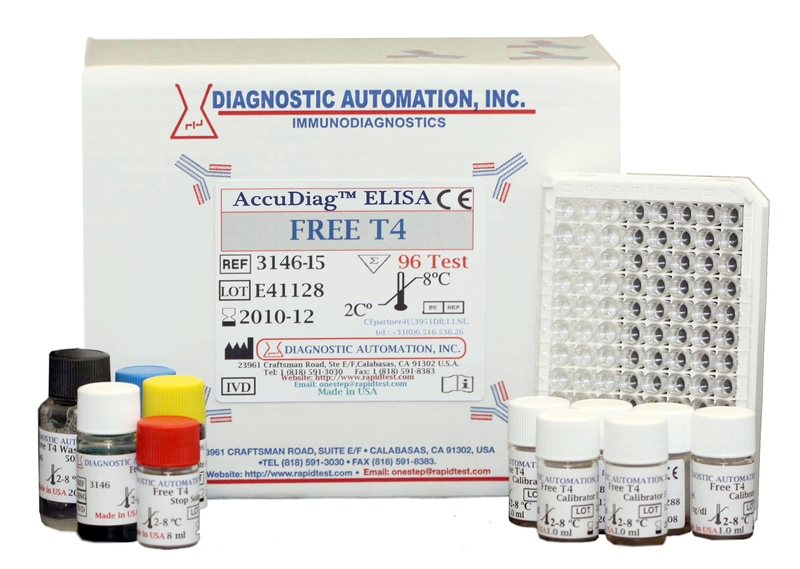 The T3 ELISA is intended for the quantitative determination of the Free Triiodothyronine (T3) concentration in human serum. The hormones thyroxine (T4) and 3,5,3- thiiodothyronine (T3) circulate in the bloodstream, mostly bound to the plasma protein, thyroxine binding globulin (TBG). The concentration of T3 is much less than that of T-4, but its metabolic potency is much greater. T3 determinations an important factor in the diagnosis of thyroid disease. 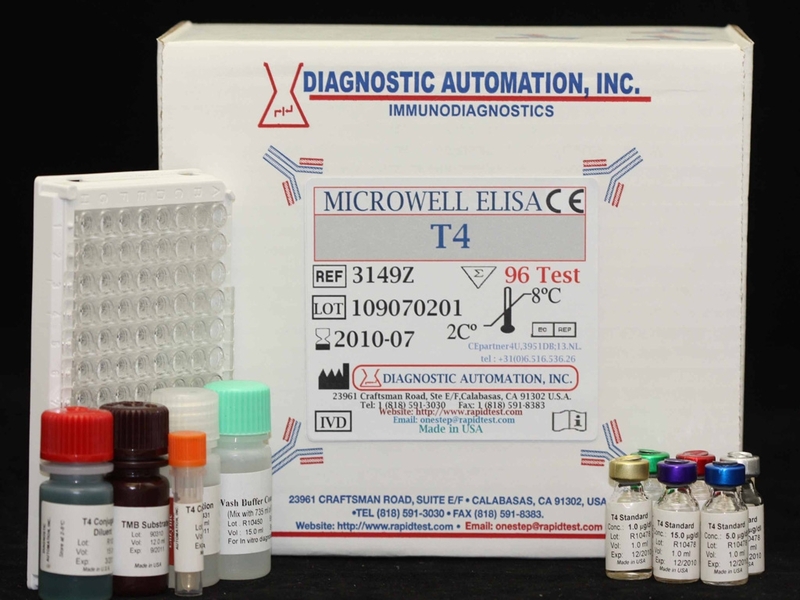 Its measurement has uncovered a variant of hyperthyroidism in thyrotoxic patients with elevated T3 values and normal T4 values. An increase in T3 without an increase in T4 is frequently a forerunner of recurrent thyrotoxicosis in previously treated patients. The clinical significance of T3 is also evident in patients in whom euthyroidism is attributable only to normal T3, although their 4 values are subnormal. T3 determination is also useful in monitoring both patients under treatment for hyperthroidism and patients who have discontinued anti-thyroid drug therapy. In addition to hyperthyroidism, T3 levels are elevated in women who are pregnant, and in women receiving oral contraceptives or estrogen treatment, paralleling TBG increases in a manner analogous to T4 levels. Likewise, a reduction in TBG concentration decreases T3 concentration. These changes in the T3 level, however, are not a true reflection of thyroid status. 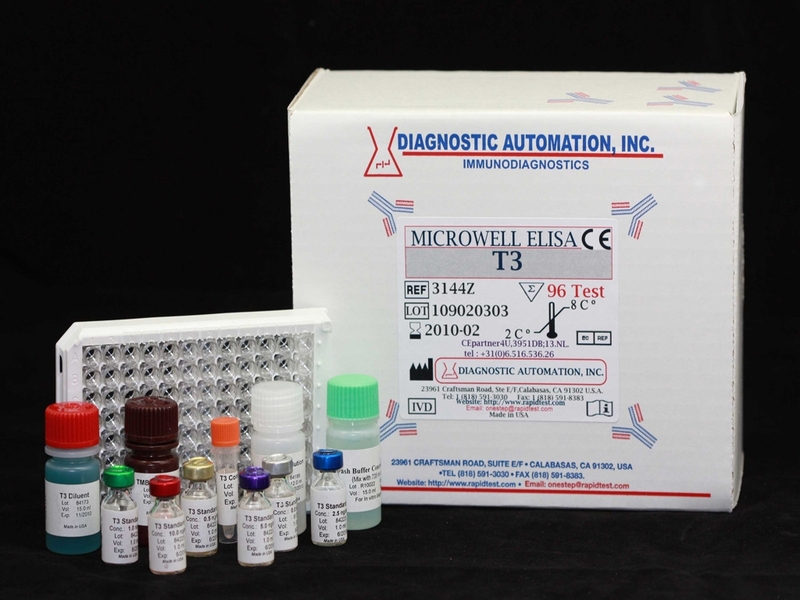 The T3 EIA test is based on the principle of a solid phase enzyme-linked immunoassay. 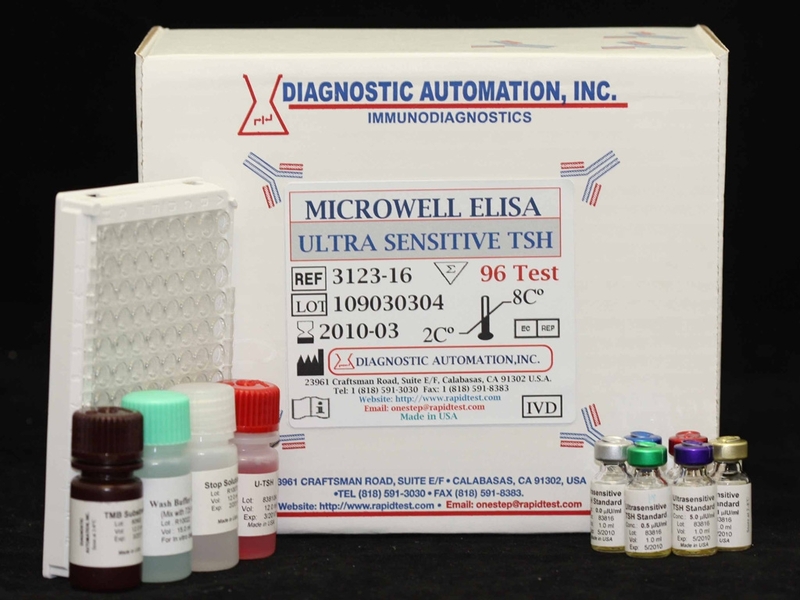 A measured amount of patient serum, and a constant amount of T3 conjugated with horseradish peroxidase are added to the microtiter wells coated with a certain amount of anti-T3 antibody. 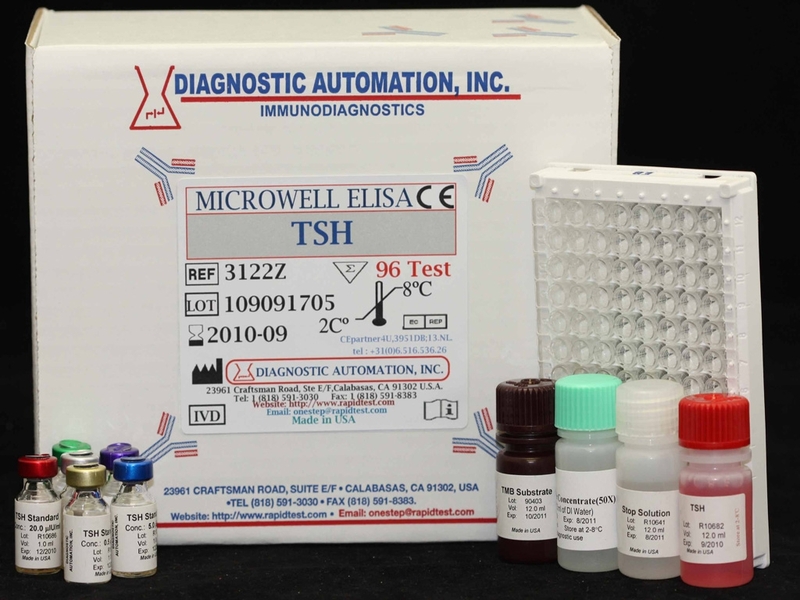 During incubation, the anti-T3 antibody is bound to the second antibody on the wells, and T3 and conjugated T3 compete for the limited binding sites on the anti-T3 antibody. For additional details please refer to the instructions for use.